Viet Nam has impressive cable-car systems serving popular tourist spots, such as in the Ba Na Hills in Da Nang or at the Huong (Purfume) Pagoda. In November 2013, a 7km cable-car system was inaugurated in the resort town of Sa Pa, with a total investment of US$210 million. 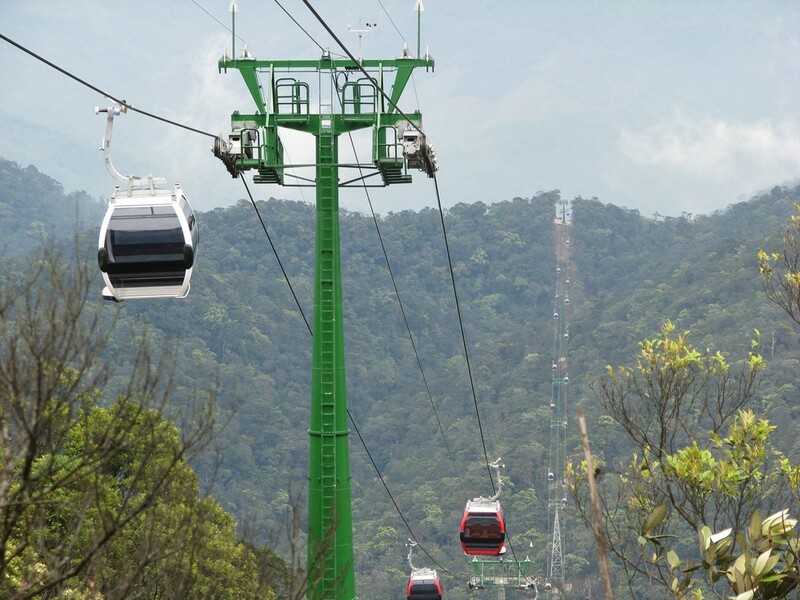 It will be the first three-wire cable-car system in Asia. Expected to open in 2015, it will reduce travelling time to Fansipan peak to 15 minutes. This year, cable cars at Huong Pagoda have been severely crowded, with people elbowing one another to make their way through the masses. Authorities are planning to build an additional 2.85km system to ease the overload. In January this year, a cable car system project to Cam Mount in southern An Giang Province was also launched. It is expected to cost nearly $13 million. Many people fear that these projects will have negative environmental effects and destroy the originality of religious and natural heritage sites. They also warn that more cable cars mean these areas would be commercialised. What is your experiences in riding cable cars in Viet Nam? Do you think that more cable cars would allow more people to visit these areas? How can we avoid overcrowding and still promote tourism? Please reply by email to: opinion@vnsmail.com, or by fax to (84-4) 3 933 2311. Letters can be sent to The Editor, Viet Nam News, 79 Ly Thuong Kiet Street. Replies to this week's questions must be received by Thursday morning, March 13.